Could an Unknown Civil Libertarian Unseat Susan Collins? Shenna Bellows can’t match the millions of her opponent. But she’s dialing for activists, not dollars. The woman who could be the future of progressive politics in America is sitting at the back table of an Indian restaurant in Portland, Maine. It’s early evening, she’s got a list of names, and she’s wearing out her cellphone. US Senate candidate Shenna Bellows doesn’t do downtime. While she waits for a meeting, the upstart Democrat makes the calls she says will upset an entrenched Republican incumbent. These aren’t the kinds of calls most candidates make: to big donors in distant cities with agendas even more distant from the concerns of the people she hopes to represent. Bellows is calling the people: nurses and teachers, lobster-boat captains and farmers, students and union activists. And she’s asking them to counter not just big money but a broken politics that values party labels and personalities more than ideals and movements. Bellows began her run against Collins—who despite her “moderate” label has drifted with her party to the right on economic and social issues—as an off-the-radar challenger. The 39-year-old former head of the Maine ACLU had no money, little name recognition, and a set of principles and positions that sometimes put her at odds with top Democrats. Bellows runs left on healthcare (she’s for single-payer) and climate change (don’t get her started on the Keystone pipeline), yet she makes common cause with libertarians on marijuana legalization and privacy rights. She speaks comfortably of building coalitions with independent-minded Tea Party activists against cronyism and corruption. Bellows believes in pushing political boundaries, and in Maine—with its history of electing independent governors and senators—it seems to be working. The challenger turned heads when, with those $5 donations from working-class Mainers, she outraised Collins in the last quarter of 2013. Even skeptics have begun to note the ease with which this first-time candidate—the daughter of a carpenter and a nurse, whose home had no electricity during much of her childhood—makes connections with disenfranchised and disengaged voters. 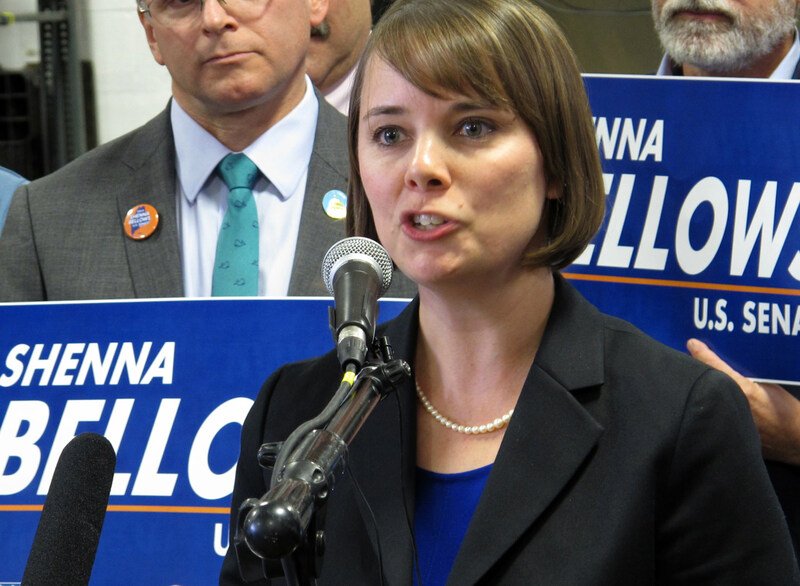 Bellows has gained endorsements from the Progressive Change Campaign Committee (which calls her “the Elizabeth Warren of civil liberties”), Democracy for America, MoveOn and, belatedly, at the end of March, the Democratic Senatorial Campaign Committee. This year’s fierce competition for control of the Senate is generally framed in terms that make sense to Washington operatives: cash on hand, famous names, carefully crafted talking points. By those measures, Republicans are thought to have the upper hand in most of the thirty-six contests that will be decided in an off-year election where turnout is down and the Koch brothers’ spending is up. If Democrats are going to upset this calculus, they’ll need unexpected wins in unlikely states. That means they’d better start considering contenders who have tossed aside lame messaging memos in favor of grassroots organizing. Like South Dakota Democrat Rick Weiland, who is well on his way to visiting every one of that state’s 311 towns, Bellows is focusing not just on Maine’s Democratic-leaning cities but on rural areas. She’s already identified supporters in 366 small towns, and the numbers are rising.